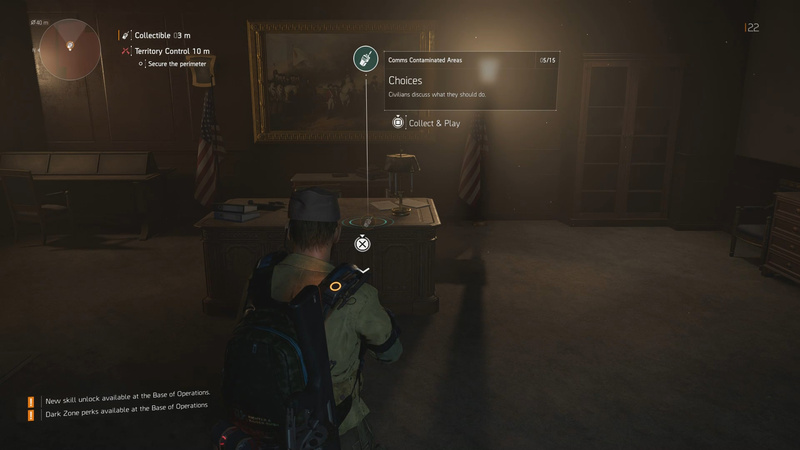 In the different contaminated areas of The Division 2 there are 15 comms devices you need to find if you are wanting to collect everything. 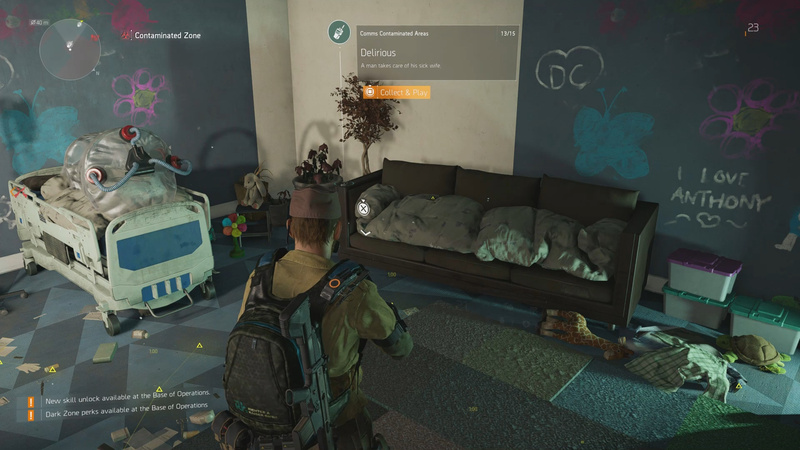 This guide will show you all contaminated comms locations in The Division 2. 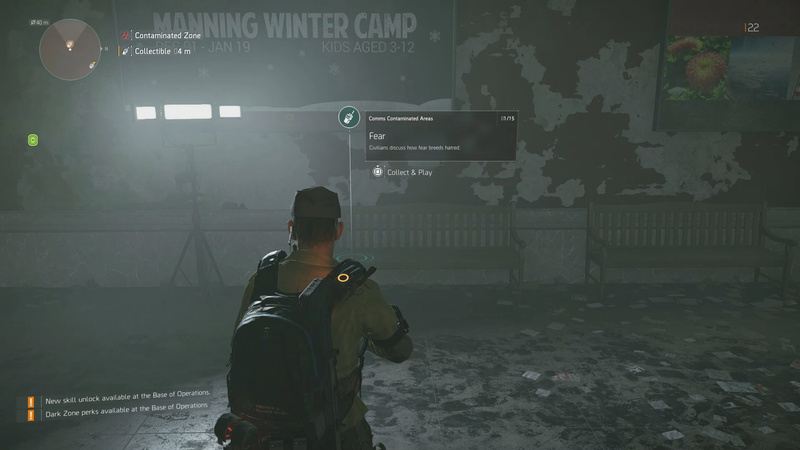 There are a total of 15 contaminated comms for you to collect in The Division 2. 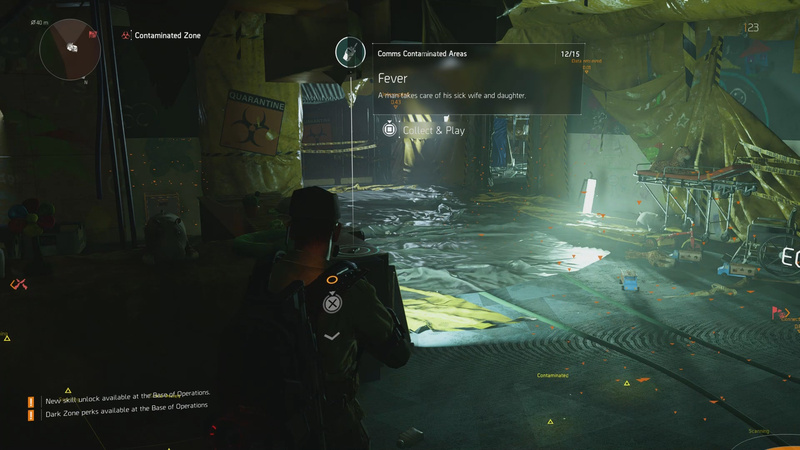 These comms are located inside 5 contaminated zones which are designated by hazardous icon on your map. 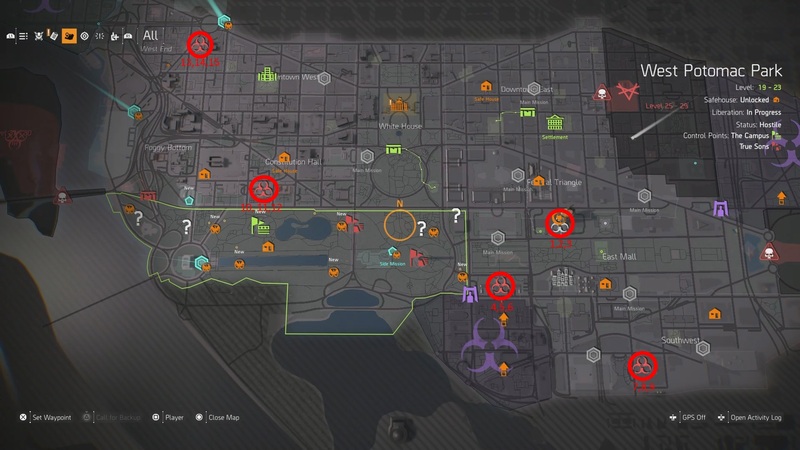 Use the above map to get an idea of where each comm can be found. 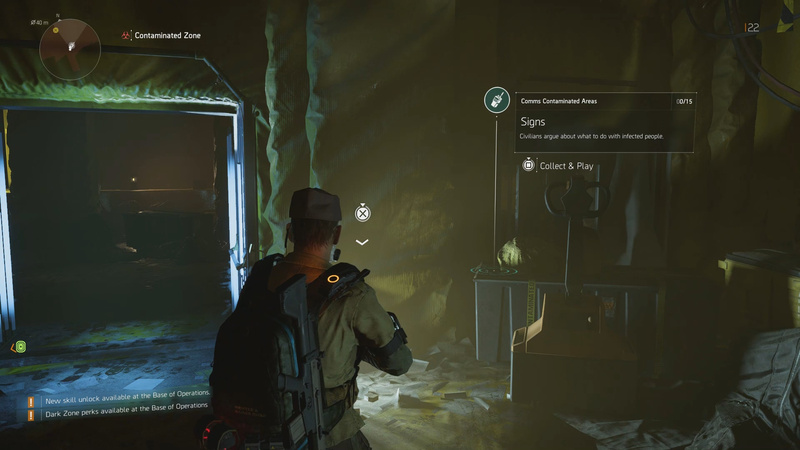 As soon as you enter the contaminated area it is directly in front of you on a crate. Go further into the museum until you reach a room with stuffed wolves and a sabre tooth tiger. 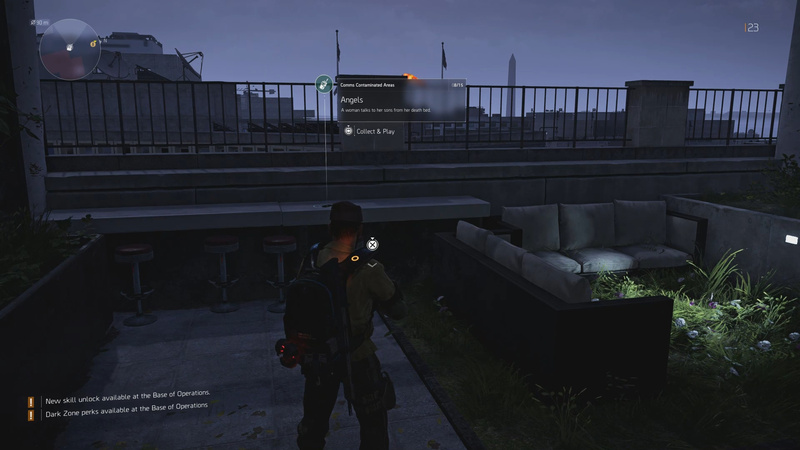 Look on the wall to your left (when coming down the stairs) to find the comms on a bench. Reach The Manning Gift Shop to find the comms on the Tickets desk. 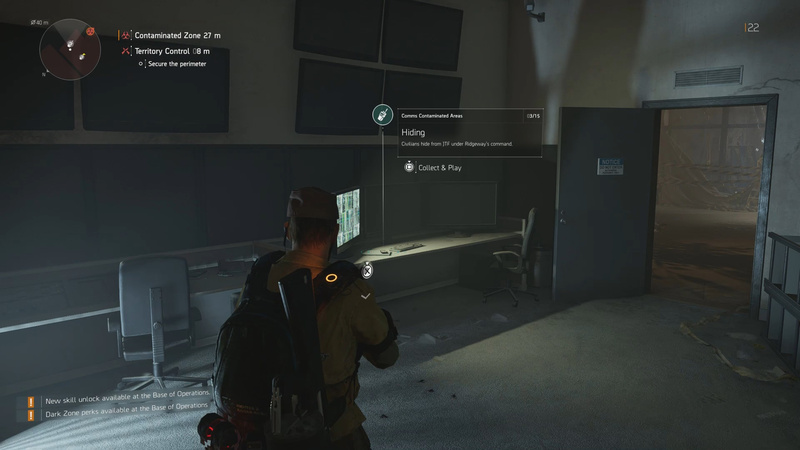 As soon as you jump over the window into the office, the comms is on the desk in front of you. Right after you climb up the elevator shaft you will enter a hallway. 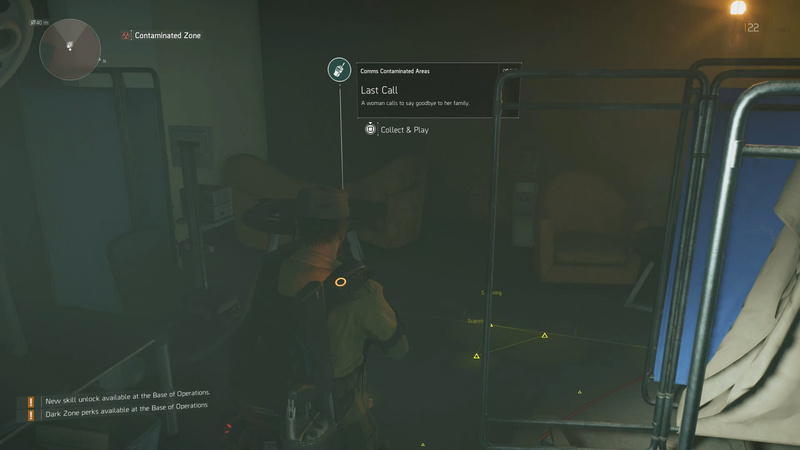 Look for the comms on a bookcase in front of you. Just down the hall from comms 5 is an office. Inside the office on the desk is the comms. 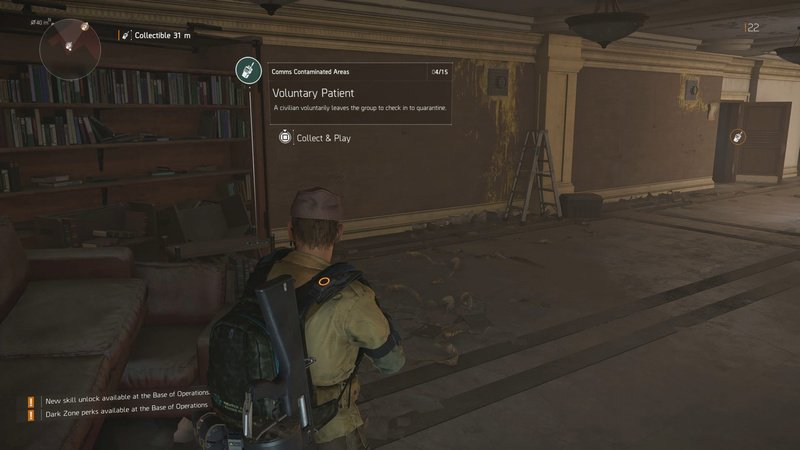 You will find this comms behind a locked door on the first floor of the hospital. You need to grab the key which is nearby then open the door to collect it. 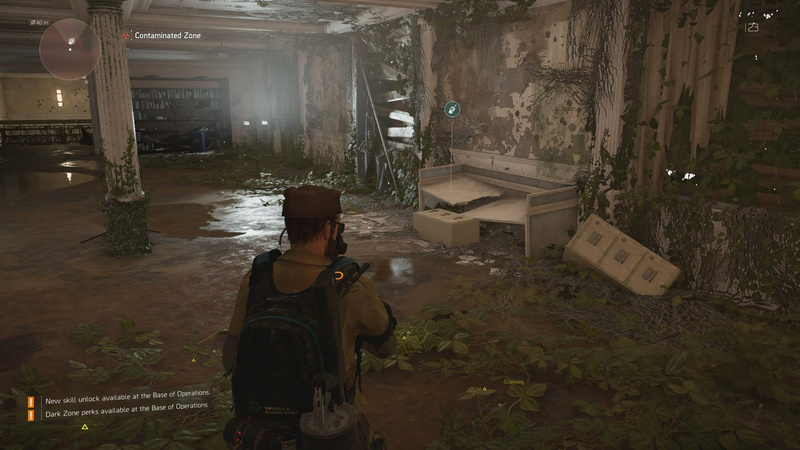 Both the key and the comm appear on your map/minimap. As you go further into the hospital you will reach a point where you need to go into the basement to turn on the power. Do this then head back to the floor you were just on. Don’t get in the elevator instead head to the door that opens down the hallway. Go through the door and turn right, then jump through the window into the next room to grab the comms. Take the elevator up and walk out onto the patio. On a bar is the comms. As soons as you enter the courtyard you will see the comms lying on an overturned bin. After you enter the building via the window, hang a left and go into the large room. In this room on a filing cabinet by a broken bench is the comms. 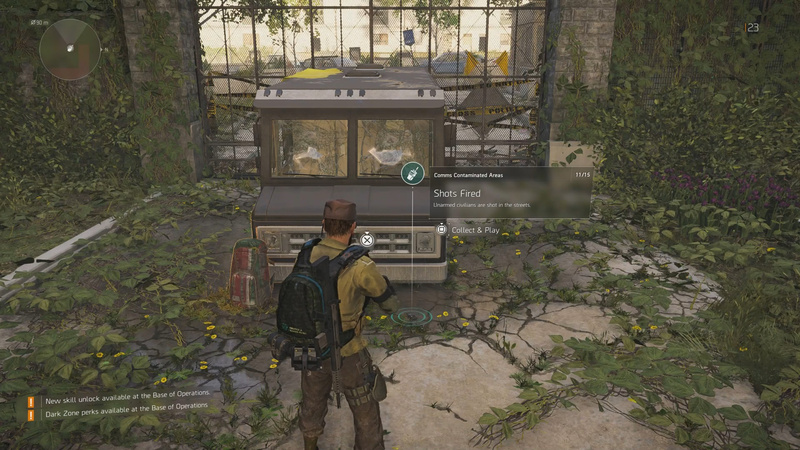 Right before you leave the area there is a cargo van which you need to climb to get over the gate. In front of this van is the coms. After you climb the elevator shaft you will find the comms right in front of you next to the echo. 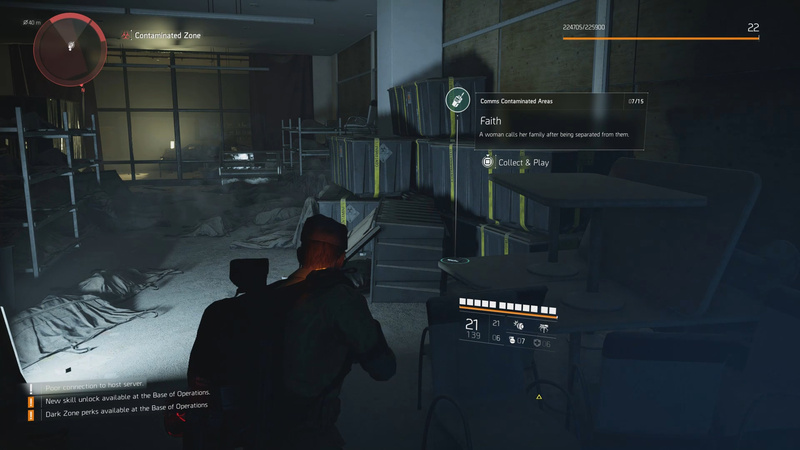 Head further into the hospital and you will eventually see the comms appear on your left. Head inside the room to find is on a couch. 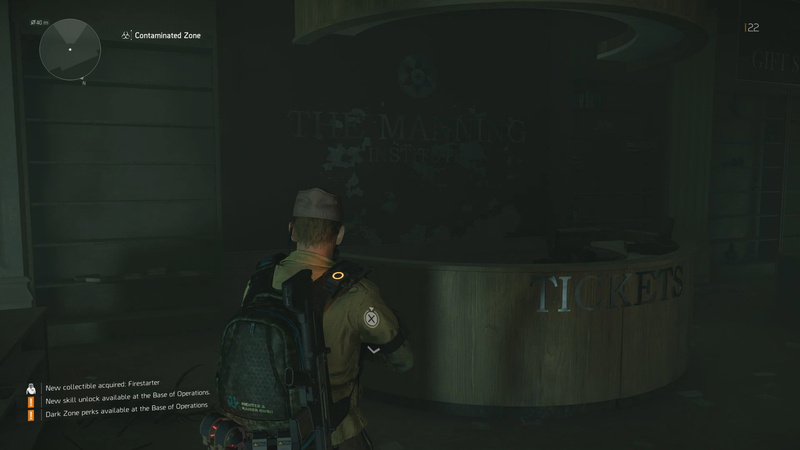 As you are about to leave the contaminated zone you will reach the roof. 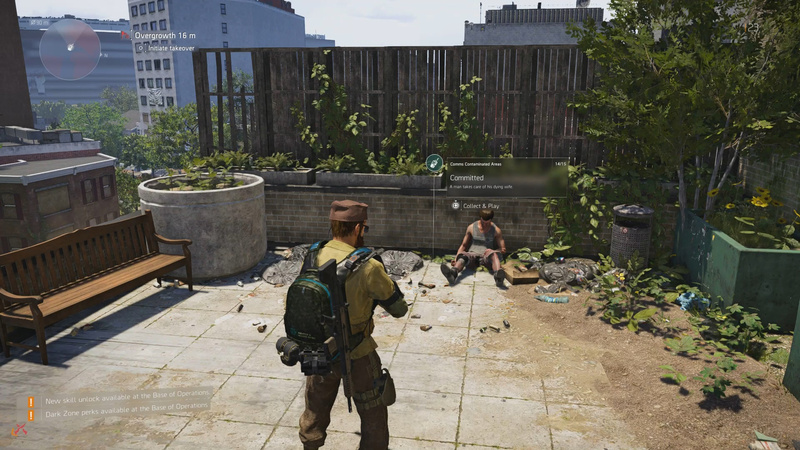 On the roof you will find the comms beside a body. 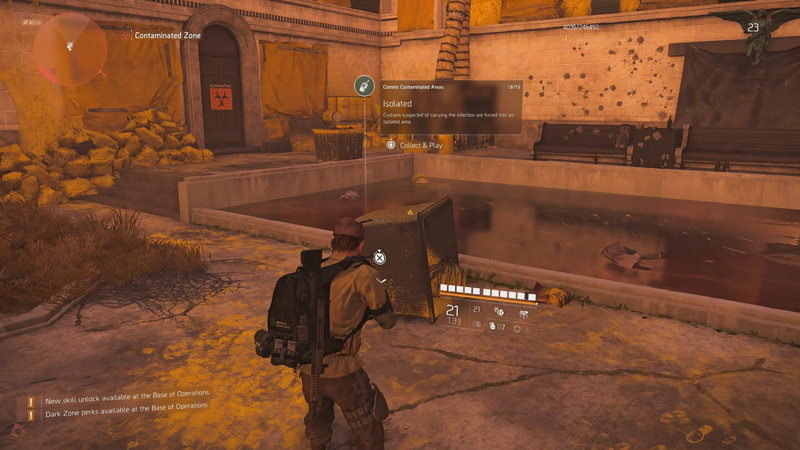 For collecting all 15 Contaminated Comms you unlock the Contaminated Area Vanity Backpack Trophy which is a traffic cone. This item can be equipped on your backpack. Thoughts on our all Contaminated Comms locations guide? Drop them in The Pit below.